The Rotary Club of Kenilworth and Leamington Cycling and Athletics Club are pleased to invite you to enter the public ballot for the 34th Two Castles Run on 11th June 2017. We are also pleased to announce that Blythe Liggins Solicitors are once again the event's principal sponsors. The ballot entry opens at 12:00 Midday on 1st Feb 2017 and will close at 23:59 on 14th February 2017. No preference is given to early registrations. If you are a club runner, the Two Castles Run is once again one of the events in the Warwickshire Road Race League. As last year, to enhance your safety, the entire route will be closed to traffic. If you are considering entering, please read the notes below, which will help ensure that your entry goes smoothly. Name, address, phone number, date of birth, email address, T shirt size and emergency contact name and number.. If you are entering the ballot as a club runner (i.e. a member of an EA affiliated running club), then you will also need to supply your competition registration number. If you do not know what this is, please see the EA website or speak to the secretary of your running club. Entries in the ballot are limited to one per person. You will need a credit or debit card to complete your ballot registration. Your card will only be charged if you are successfully allocated a place when then ballot is drawn on March 1st. If there is some information you are currently not sure of (e.g. whether you require transport back to the start), or you subsequently change your mind about something, then you can log back into the system and update your entry. The system will ask you to set up a password for this purpose. The Two Castles Run is organised entirely by unpaid volunteers, with all proceeds being donated to charitable causes. Please help to increase the overall sum raised for good causes by getting sponsorship for your participation in this event. If you do not have a particular charity in mind, we would ask you to consider running for Rotary End Polio Now. We have a number of sponsorship opportunities available for 2017, if you would like further information please email organiser@twocastlesrun.org.uk for a sponsorship pack. Join us on Facebook (www.facebook.com/twocastlesrun) and Twitter (@twocastlesrun), please like and follow us to keep up to date with the latest Two Castles Run news. Your Two Castles Run medal has been designed to include an iTaB. Collect your medal at the finish line and you iTaB will arrive in the post a few days later. 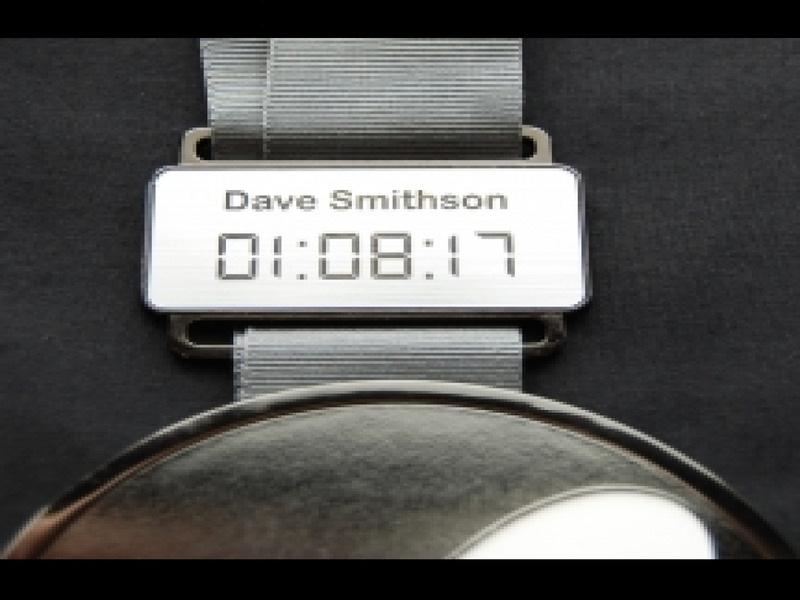 The iTaB will be engraved with your name and finish time and simply affixes to your medal. Please confirm you would like to be added to the The Two Castles Run 2017 waiting list.